My ultimate favourite is Clarins Pure Melt Cleansing Gell (£20.50 Debenhams) which is oil based on application and as its name suggests melts away your make up. When you add water to rinse, the oil transforms into a milk and is washed away leaving no oily sticky residue. It leaves all the ‘good oils’ so doesn’t dry out you skin and leaves it feeling plump and healthy too. 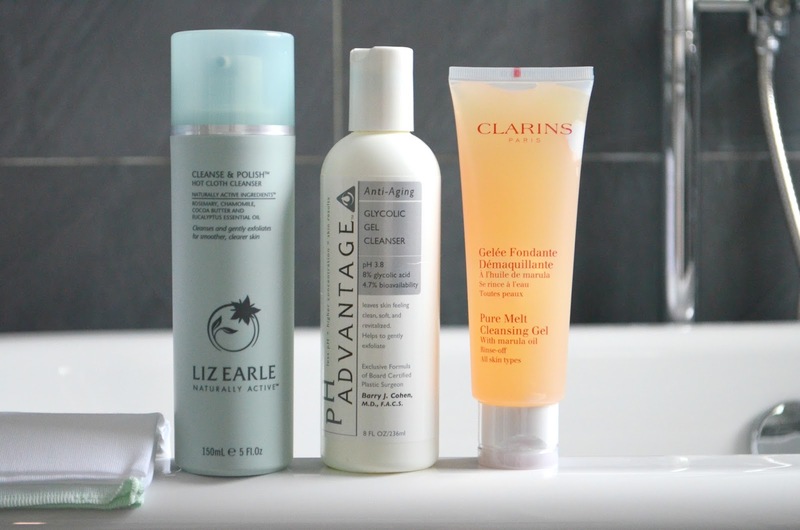 Another fave is Cleanse & Polish Hot Cloth Cleanser from Liz Earl (£15.50 John Lewis). The super thick cream consistency is also amazing it removing all your make up and the hot muslin cloth leaves your skin feeling spotless. I don’t like the muslin getting dirty with makeup marks handing in my bathroom (I know this is a bit ridiculous) so I prefer to use this as a morning cleanser in the shower, this also make sense as it contains Eucalyptus which give you a get-up-and-go morning freshness too. An empty cleanser that I have loved it pH Advantage Anti-Aging Glycolic Gel Cleanser (£15.50 Amazon). It lasted my for an age as a morning cleanser as a little goes a long way. 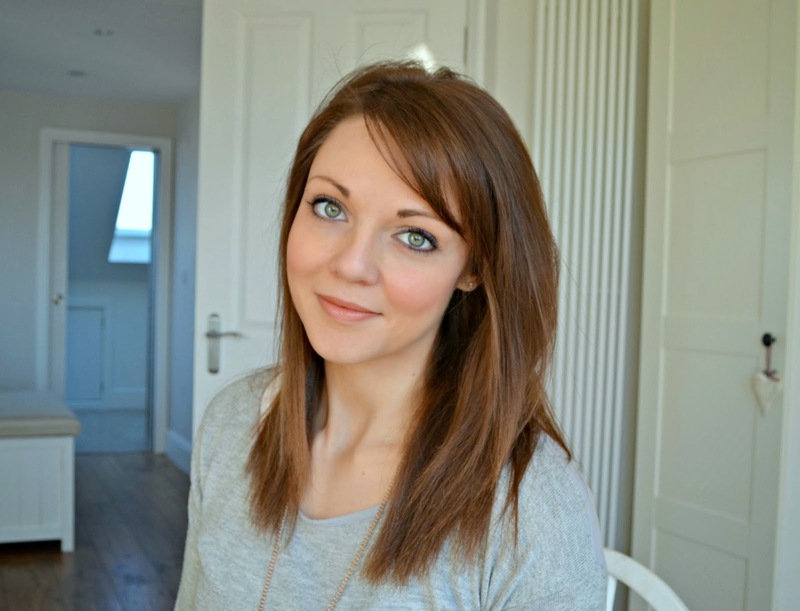 My skin was super clear and soft whilst I used it - a re-purchase maybe required! On the less expensive end of the scale I fell in love with No & Beautiful Skin Foaming Cleanser for Normal/Oily Skin (£9.50 Boots) at its press launch event about 4 years ago! The pump converts the product into a foam which smells so fresh and clean (I love) and it is really effective at removing all traces of makeup - even waterproof mascara. Some camps aren’t fans of foaming cleansers as they can remove too many of your natural skin oils, however I do love how clean they make your skin feel. La Roche-Posay Physiological Make-Up Remover Micellar Water Gel (£12 Feel Unique) is another go-to end of the day cleanser. It isn’t as thorough at removing eye make up but is really gentle on sensitive skin. 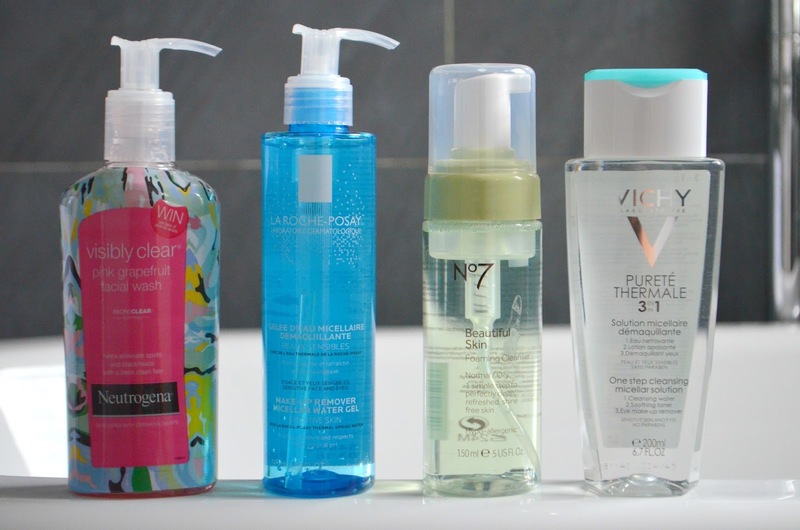 My final wash off cleanser for this post is Neutrogena Visibly Clear Pink Grapefruit Gel Wash which is great for younger more break-out prone skin. Along with fighting spots and blackheads, the grapefruit leaves skin feeling super clean too. 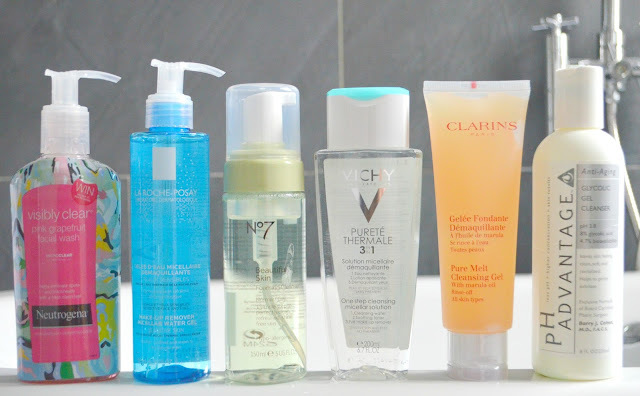 Although most evenings I am desperate to crawl into bed and in the morning I am in a race to get up and ready I try to find time to make sure my skin is super clean by using a micellar water too. This 3 in 1 One Step Cleansing Micellar Solution from Vichy (£8 Essentual) is meant to cut out the need for the cleansing step first. Maybe I use too much make-up, but I find it takes a few too many cotton pads moistened with product until my skin in clean, so I do use on of the above cleansers first. However, a quick dose of this post cleanser, or use as an eye make up remover is just the ticket!